I enter all sorts of competitions all the time and this means sometimes I receive a package with a prize in and I won’t even remember having entered to win it! 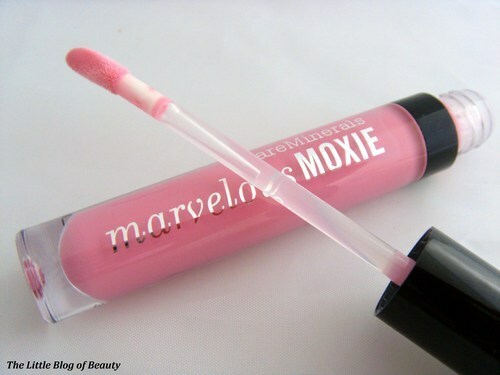 This is the case with the product I’m reviewing today which is one of bareMinerals brand new Marvelous Moxie lip glosses. 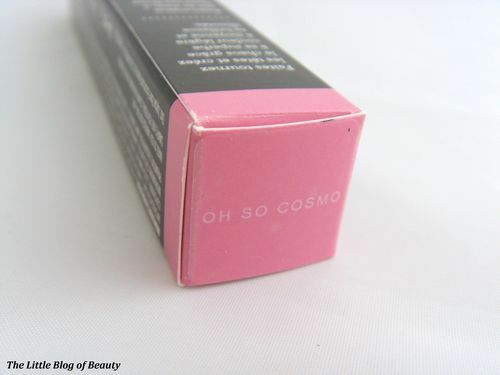 The information that came with the lip gloss informs me that this is a shade created especially for Cosmopolitan Magazine called ‘Oh So Cosmo’. So I’m assuming I entered my details on the Cosmopolitan website hoping to be one of however many people to be picked to receive one, and I obviously was! 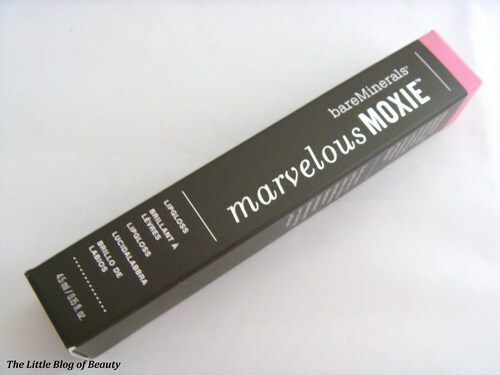 bareMinerals teased us for a while on Twitter with the hashtag #ohsomoxie before releasing a new range of lipsticks, lip glosses and lip pencils. 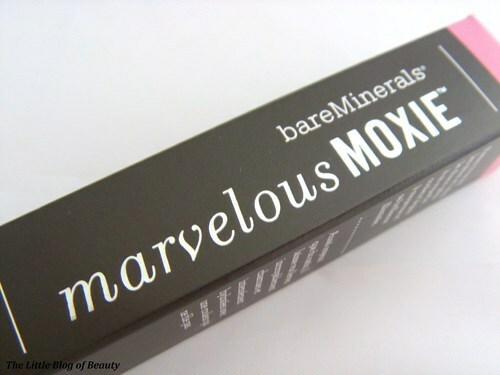 Moxie (pronounced mox-see) means shameless sass, all-out spirit, total passion overload with plenty of attitude to match. So you apply one of these lip products and you’ll instantly transform into Beyonce! Just look at how cute the pink tube looks! This is an amazing baby pink colour which to be honest isn’t the sort of shade I would usually pick myself. Not because I don’t like the colour (I think the colour is really nice) but because pale colour lip glosses often seem to lose their colour on my lips, so I might as well just be wearing a clear gloss. 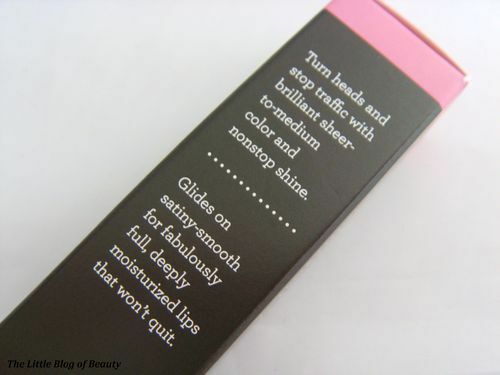 This is a satiny-smooth gloss which provides sheer-to-medium coverage and lots of shine. This contains naturally derived Shea, Avocado and Murumuru butters to deeply hydrate and smooth lips. It also contains an infusion of minerals and vitamins A, C and E. Having just checked the ingredients I was surprised to find this contains lavender (which I’m allergic to) but I haven’t noticed any kind of reaction while wearing this. This applies really smoothly and when first applied has a lovely refreshing menthol/minty feeling and a very slight minty smell, both of which obviously come from peppermint oil listed in the ingredients. As I thought might happen the colour does mostly disappear on my lips, but there is a faint hint of the pink left. If I apply another layer over the top I do get a pinker colour but I’m not keen on layering a lip gloss and this does make it feel a little thick. This is just slightly sticky but not bad at all by lip gloss standards. I was surprised to find that when I layered it and it had settled for a couple of minutes it appeared to become slightly less sticky. Lip glosses obviously don’t usually last very long and I think this gives a couple of hours wear with just one coat and maybe an additional hour with two coats. As this is a light colour this doesn’t stain your lips in anyway so once the gloss has worn off you’ll be left with bare lips again. Overall I do like this lip gloss, I’m just not really a lip gloss sort of person. 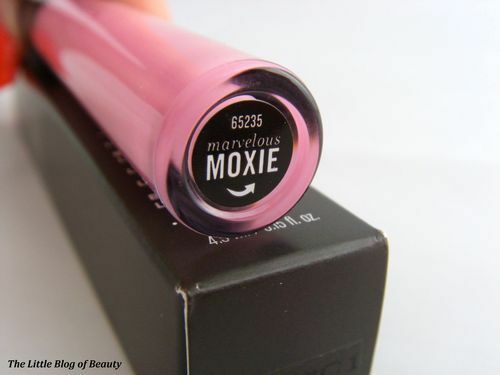 I would however love to try one of their new Marvelous Moxie lipsticks. As I’ve said this was a special shade created for Cosmopolitan Magazine so as far as I’m aware you’ll be unable to get this specific shade. 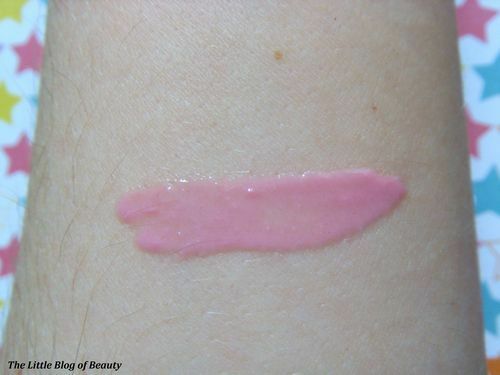 However, this is available in 14 shades and is available in a baby pink shade called ‘Show off’. 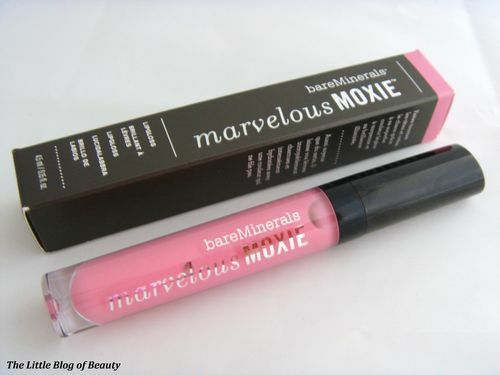 Marvellous Moxie lip glosses cost £16 and are available from the bareMinerals website and also from Debenhams.